Just how much of the park have you explored? Each trail has its own personality and treasures. The wildlife on the Shingle Mill Trail, the views from the Mountain Laurel Trail, the evergreens on the western hill of the Switchback and Scouts Loop – and of course the waterfall and wetlands of the Ice House Trail… we highly recommend exploring it all! If you hike each trail, it totals about 1.6 miles. 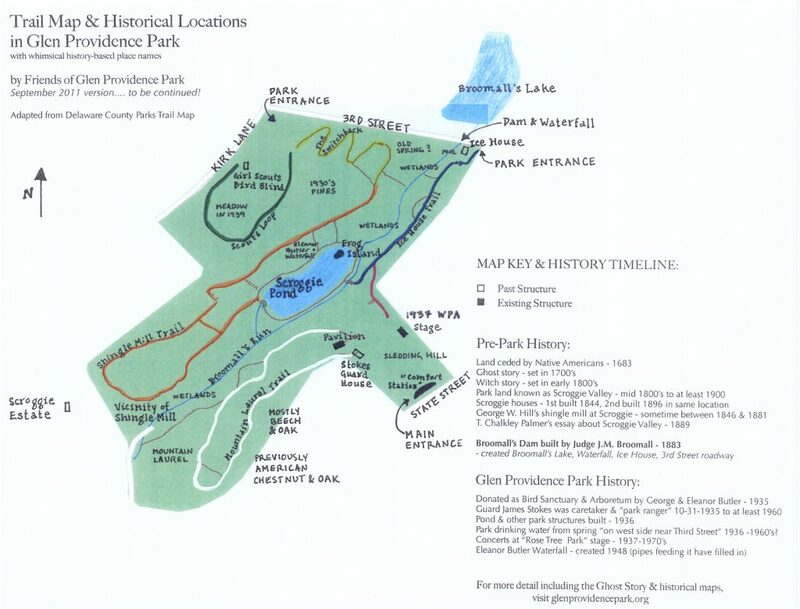 This is our first version of our annotated map, which we adapted from the Delaware County Parks & Recreation trail map. We plan to develop it as our research continues. You can preview it below or print the Annotated trail map PDF.